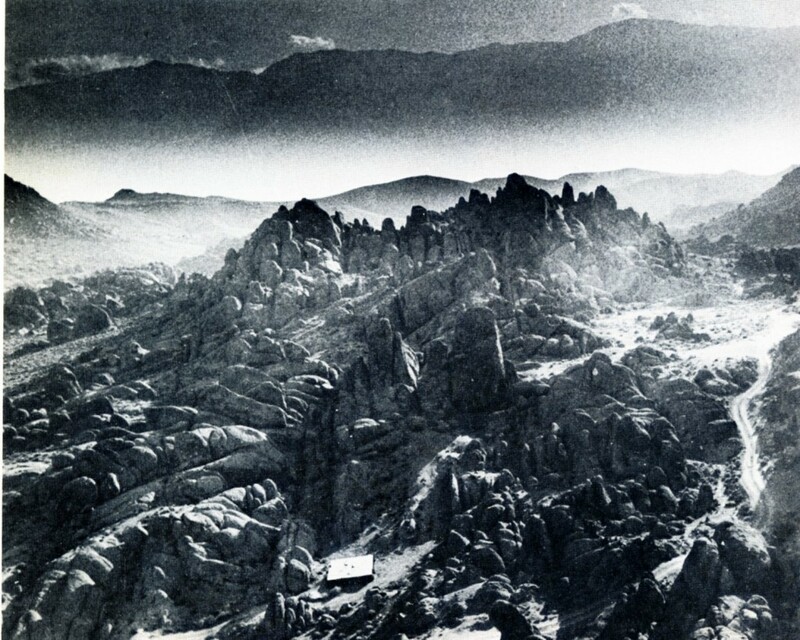 Irén Marik: from Budapest to the California desert. Irén taught at Sweet Briar college until retiring at age sixty five. 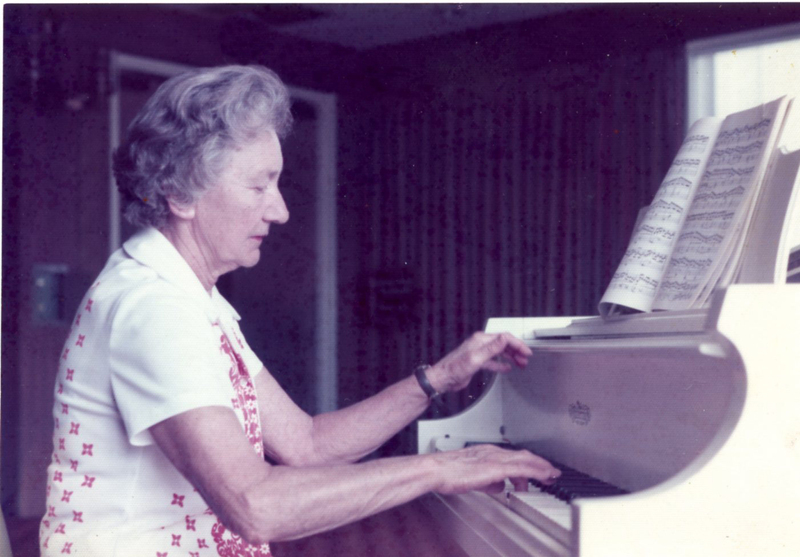 Whenever she had to leave for a brief absence, such as to appear as a concerto soloist with the National Symphony in Washington, D.C., Sweet Briar made sure to deduct the missed time from her pay. 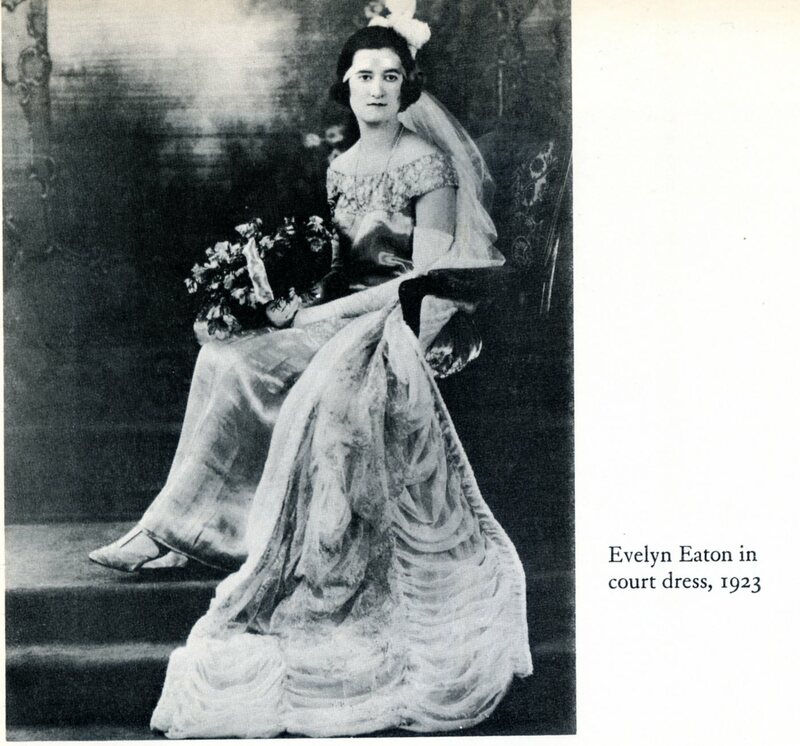 On their English faculty was Evelyn Eaton, a Canadian author. Marik and Eaton became instant close friends and shared a house there. 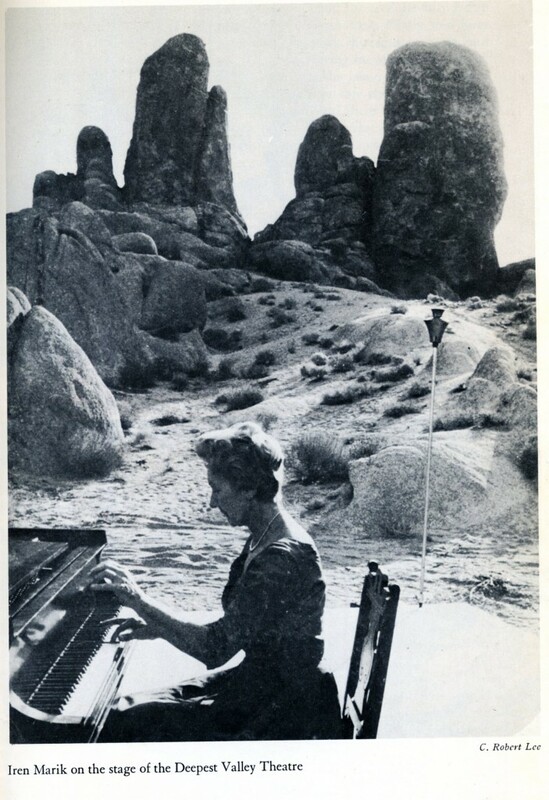 Evelyn retired before Irén and moved to the California desert. Evelyn Eaton in court dress, England, 1923. Eaton was part of a noble British family and had been a journalist, writing dispatches from France for The New Yorker in the 1930s, publishing a dozen novels. 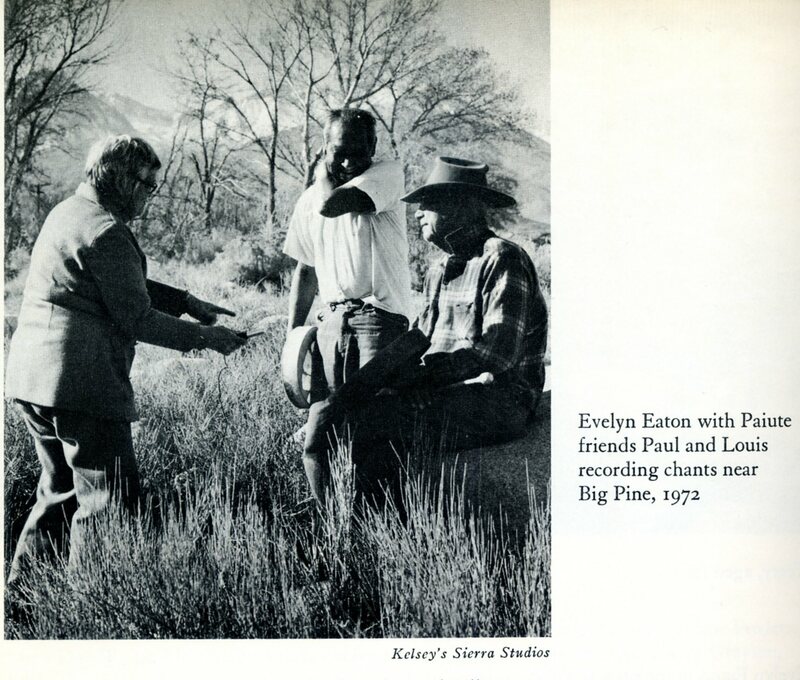 But in her past was an American Indian ancestry and she found the Paiutes living near Lone Pine, California. Evelyn became close and was accepted as a pipe woman and revealed gifts as a healer. When Irén retired they shared adjacent homes. Irén would start her day with two hours in the rose garden, then on to the piano for three more. Lunch followed, a nap, three more hours of playing. Evelyn was often away at Sweat Lodges and teaching, lecturing, or in her nook of a studio decorated with ancestral stained glass windows. Once with her alone, she confessed that the tapes Irén used to record practicing and concerts were frequently thrown out by her: Evelyn quietly hid them and presented me with a box. Afterwards, Irén mentioned the composers’ roles in their cultural time-frame. So in this town of a few hundred souls one could find one of the greatest living pianists and a profound erudite author whose knowledge of literature, history, the traditions of the Paiute Indians, and her rapier wit made it into a cultural center of our planet, emanated by two quiet profound deities who gardened, wrote, and cultivated great art. One unusual result came from Evelyn’s traipsing around the Alabama Hills by jeep, beneath Mount Whitney, outside of Lone Pine. She noticed a clearing amidst the wild projecting rocks where, in her dreams, a stage for Irén and others could be erected. After battling the Bureau of Mines, she bagged a temporary go ahead and created the Deepest Valley Theater. It seemed that Irén’s nine-foot Steinway grand was ‘translated’ (like the Holy House in Loreto) from her living room smack into the clearing. Listeners drove up and down from San Francisco and Los Angeles to settle into nooks in the crags and take in her playing, illuminated by oil lamps after sunset. Sitarists and harpsichordists also made it onto the series. After four days I had to catch the one and only early evening LA bus. LIsa, the blond driver who had been Evelyn’s assistant, vanished a few hours earlier, having let her long locks fall onto her shoulders. Irén had gone to bed and the ride led to a sleepless night on an LAX bench before a staggering onto a 7 a.m. flight to Chicago for cousin Joanna’s wedding, seeing all the family surprised and scrutinizing my dazed and elated expression. 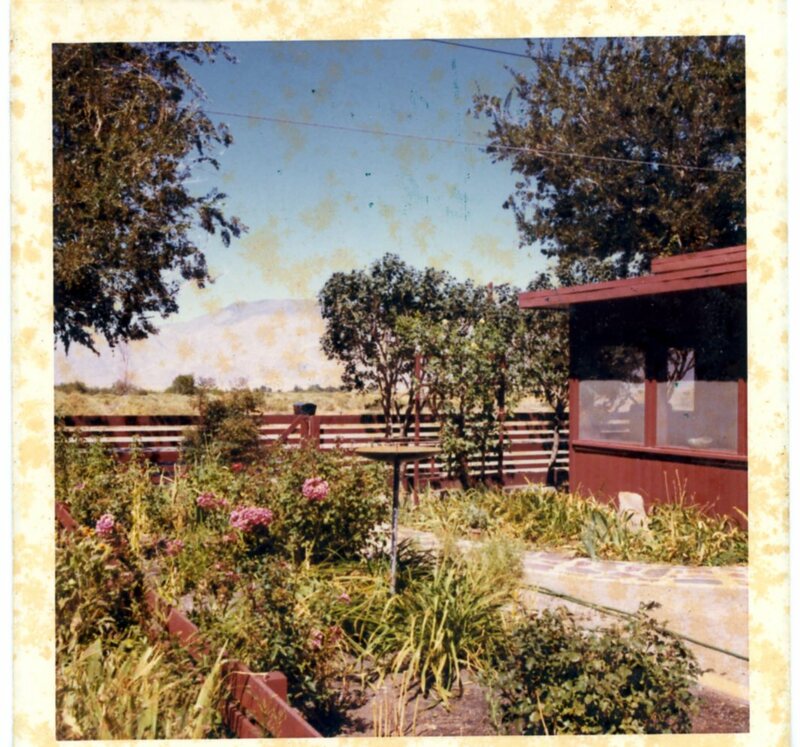 I was transported by the memory of her sound, spirit, and rose garden, the aromatic wild sage for smudging, aromas and experiences etching their way inside as the Greyhound bus strode towards the Mojave tabula rasa. I had promised Irén that I would attempt a trip to Budapest and soon, to find her artifacts and the distant brother she hadn’t seen since defecting from Hungary in 1947, and trace Bartók’s remaining friends. Next blog: Budapest and its mysteries.